Mann is an independent podiatric surgeon who is both British and American trained. 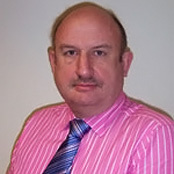 He mainly consults in the Medwyn Centre in Dorking with The Advanced Footcare Group. He has been in private practice for 25 years. Mr Mann’s surgical specialty is in sub-talar arthroereisis for the treatment of acquired flatfoot, but he also has a special interest in clinical biomechanics and gait analysis, particularly in relation to skeletal misalignment management. He is a Fellow of The College of Podiatric Surgeons, a member of The International Society of Biomechanical Engineers, The Society of Chiropodists and Podiatrists and a member of the Society of Expert Witnesses. He has written papers and presented to learned societies over the years, the most recent being the AIP Italian Conference 2009 on The Complications of Diabetic Foot Surgery. Mr Mann’s research interests include Clinical Biomechanics and the surgical correction of adult acquired flat foot deformity. Mr Mann is available for private work for self pay and insured patients.